Leftright Sound maintains its edge of purveying decent electronic music, thanks to this Kumustakana EP by Darkoloco. An experienced DJ who's absorbed his music influences from living in the US, Netherlands, Philippines, and now Indonesia, it is, surprisingly, his first-ever debut release as an artist-producer. 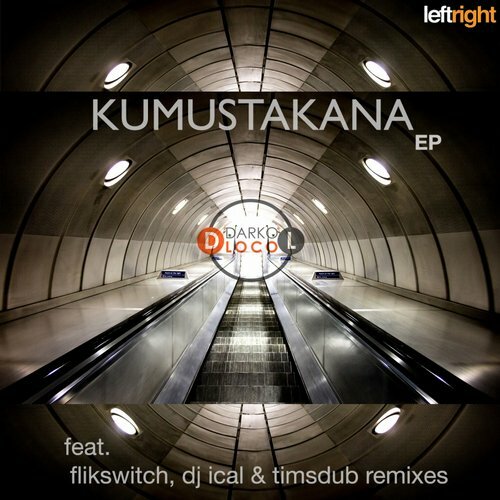 Deep & percussive styling that's become his trademark appears obvious in original tracks, "Affair" & "Doin' Nothing," while the three remixes offer flexible options for DJs to play out; whether it's DJ Ical's minimalistic approach, Flikswitch's clubby take, or deep & quirky touch of Timsdub. Whichever is being picked, this EP guarantees to be your secret sonic weaponry.